The style is deliberately Colonial because that is the corporate symbol or style and is represented to some extent in virtually all of McGuire's buildings. We added the gables, sloped roof and colonnade. 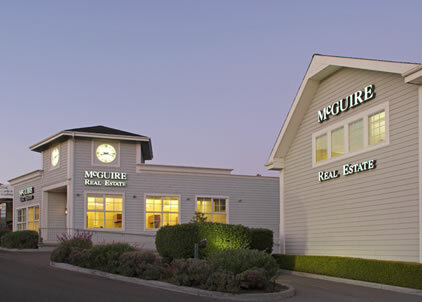 Several years later McGuire acquired the day care school next door and we remodeled and expanded that building as additional office space. Note the colonial ethic is repeated and that gesture, plus finishes and colors, now unite the assemblage of buildings into another McGuire complex similar to their Corporate Offices in the City.